In order to do hard disk repair at home, use tools like Hard Disk Sentinel to confirm its health status before rushing to conclusions. Then you can attempt manual repair hacks by using recovery tools like iCare. While it is true disk drive failure and data loss is very traumatic, it will remain a distant worry until it happens to you. Then as the case usually is, you dive into frantic DIY repairs and coupled with a walk down the repair shop, the truth about your misfortunes only then begin to take shape. It will be humbling to learn that all your precious photos, documents, and audiovisual files are probably gone, forever! Amazing as it is, many of us actually forget the trauma and fail to implement preemptive measures soon enough. Perhaps it is important to reflect that data is more precious and expensive than the disk drive onto which it is retained. It is therefore important to read into the tell-tale signs of impending disk failure early enough. Of course, the above symptoms may happen because of faulty memory modules, viruses, corrupted operating system files etc. Either way, you need to find out what is happening before turning to hard disk repair hacks. Before making hasty decisions regarding a hard disk gone south, make sure it is actually dead. Quite often, a false alarm will be sounded when something else is the matter. Use the following tools to diagnose what is actually happening. 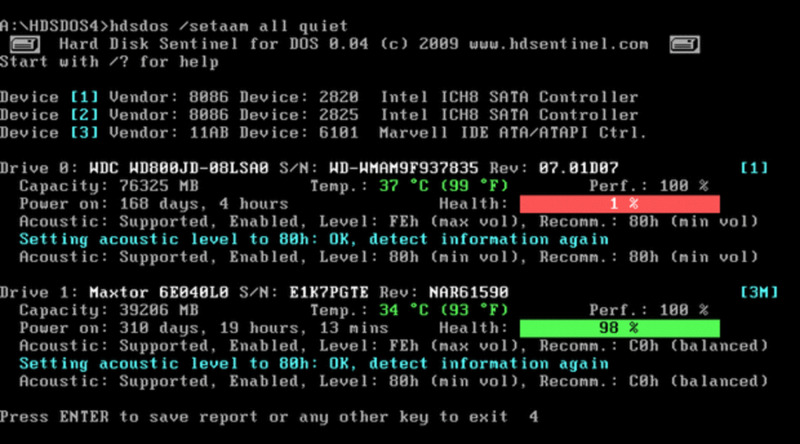 Hard Dist Sentinel is a MUST have utility for monitoring disk performance and health. It will not repair your hard disk but will assess and warn about impending doom. It continuously monitors and displays the health status of the drive. Any score below 50% should be a sign that there is trouble on the horizon. On second thought, a good disk drive should read 100%, Anything below that is a tell-tale sign that something is wrong. Get worried if the percentage reads 0! This tool is available for Windows and a bootable freeware version is bundled with the Hiren boot CD. If the disk is not accessible because Windows is corrupted, run the Hard Disk Sentinel which is bundled inside the freeware HIREN boot CD. 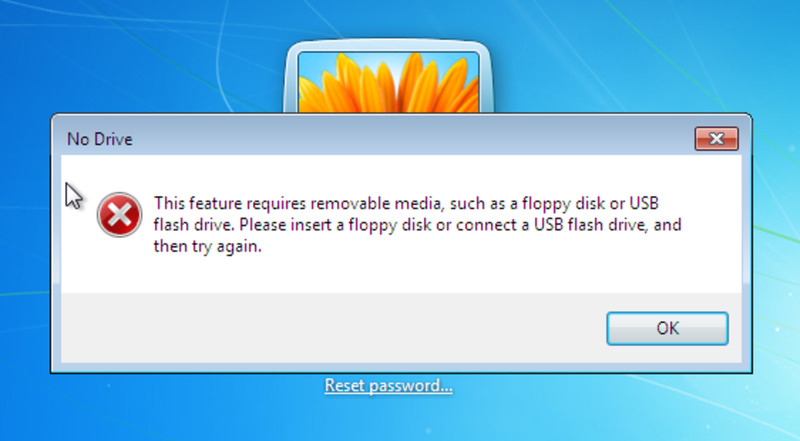 Download a copy, burn it onto a cd or create a bootable version using a flash drive. Boot into the bootable CD or flash drive and seek out the DOS version of Hard Disk Sentinel. You should see something similar to the image below with details about performance and health of the disk drive. Windows inbuilt disk management tool will show you hidden partitions just in case a secondary hard disk or other partition goes missing. It could be a missing drive letter that is driving you into a frenzy i.e (C:) for Windows local drive. To use Disk Management tool, type compmgmt.msc in Run and click Disk Management in the left pane. Any disk or partition that is missing a drive letter will show up, and you only have to right click it for Properties and then allot it an alphabetical letter. 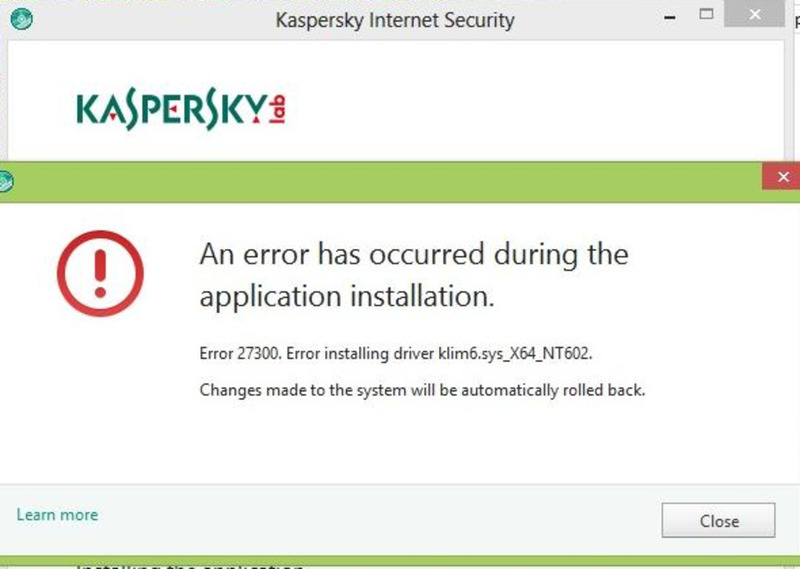 Modern computers ship with SMART feature enabled within the BIOS, and Windows 8 operating system actually warns about a failing hard disk. If SMART is not enabled in the CMOS setup, make sure it is. If software tools fail to help out, or it is intermittently on and off, maybe it is DIY time to make a visual assessment of the disk drive and related parts. Make sure all data and power cables connect well to the drive and to the motherboard connectors. 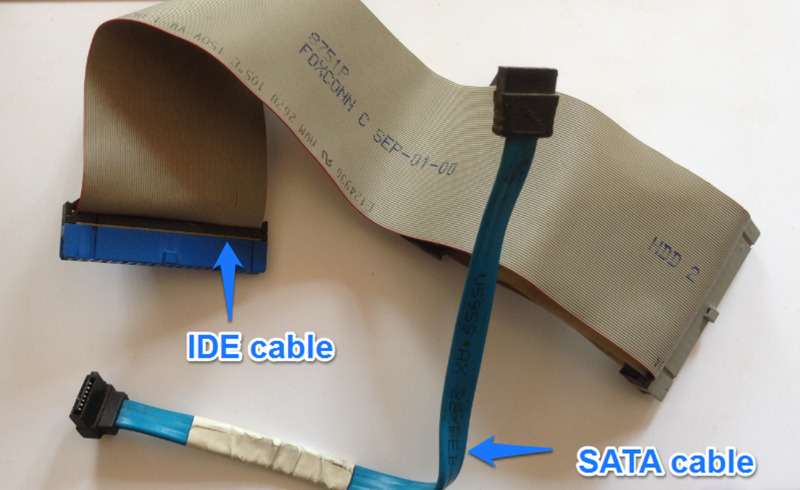 Assess both PATA and SATA cables. This especially so if the computer no longer sees the drive. 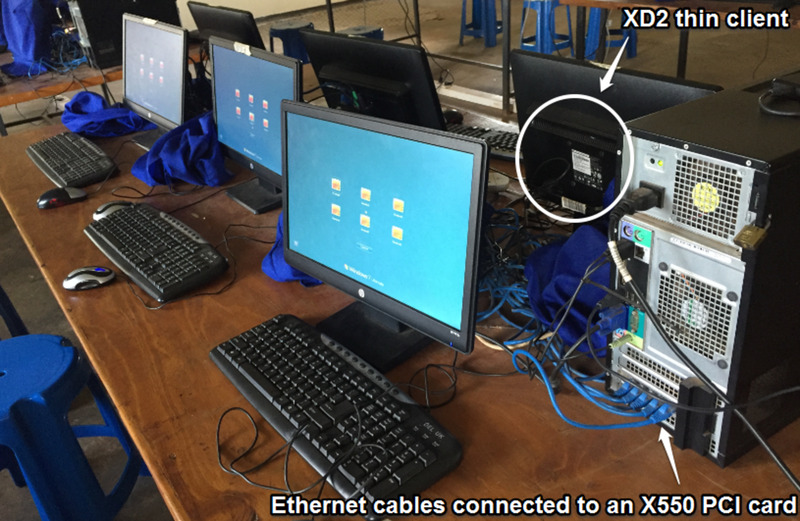 Erratic behavior may arise when data or power cables are failing or the contacts on the board or drives are blocked and contaminated by dust and corrosion. The next step is to clean the contacts and corroded points on the circuit board and the cables. Further, still, try other data and power cables and see if they make any difference. If dirt and cabling are not the issue, pull out the hard disk and connect it as secondary or external storage onto the desktop or laptop. If however, the external disk is the one you are troubleshooting, make sure to swap the USB cables just in case. Some USB cables don’t usually supply voltage enough to power up the drive. Some external connector ship with Y USB cables and they require that both are plugged in. For better results when using the desktop computer, always plug the cables into the USB ports located at the rear of the system unit. If confirmed that the disk drive is actually the culprit, and inaccessible, take precautions not to power it up for long. Keep it cool in order to allow you transfer its data to another media. Keeping cool may involve storing it in the freezer overnight! Dying mechanical drives get even weaker if subjected to rigorous testing. The hotter a dying disk gets, the further its health deteriorates. Make sure to wrap it carefully inside a polythene bag before sticking it in the freezer. Overnight freezing should prep it for software recovery in the morning. If direct data transfer to another disk drive is not yielding immediate results, don't try too hard by repeatedly turning it on and off. The further you stress this annoying little thing, the more you are ruining it. In the event that the above steps have failed, you may want to resort to data recovery using specialized software tools. Make sure the disk drive is cool enough before running the recovery software of your choice. I use iCare Data Recovery Software and it has bailed me out countless times. Recovery software will take hours if your hard disk capacity is high and if its health status is very bad. You may want to do it in a cool environment and preferably overnight. 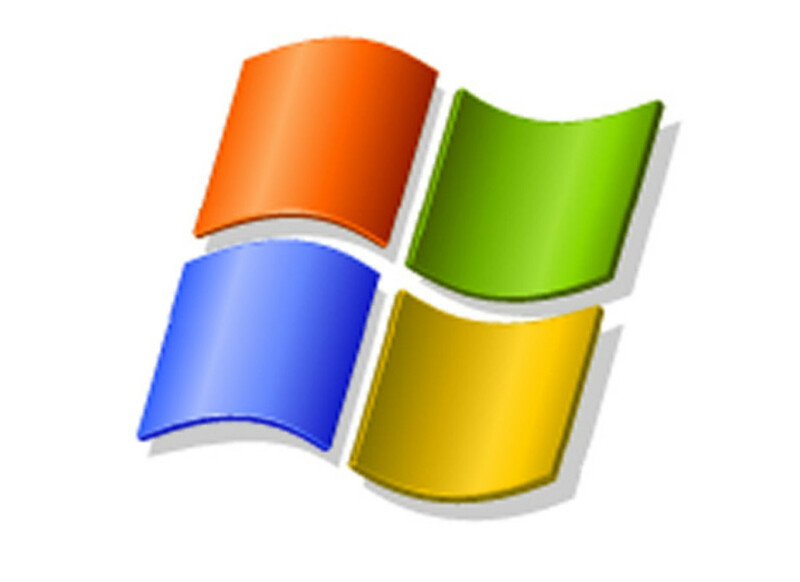 Other popular recovery software include, spinrite, recuva and Kroll Ontrack. Go for whatever serves you best. 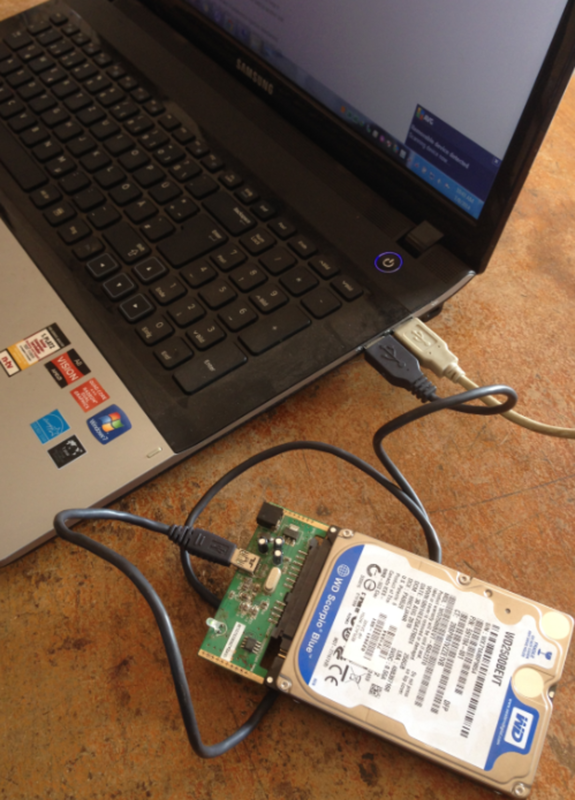 If software recovery fails to save the situation, you may want to try risky hard disk repair hacks which involve opening up the hard disk. 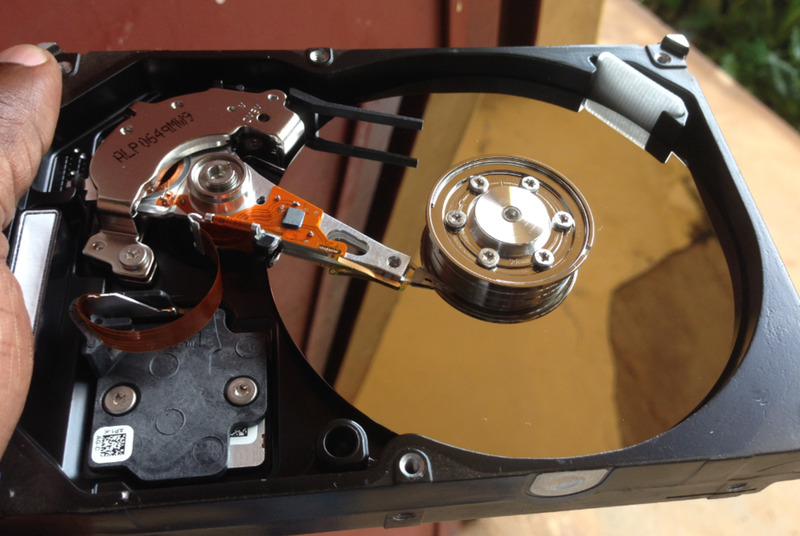 To repair the hard disk manually should always be the last resort in data recovery. It is a point of no return and one you undertake knowing too well you may lose the drive and data forever. Only do it when you don’t mind losing the data in the drive and when you know exactly what you are doing! Swap the Printed Circuit Board (PCB): This procedure is only useful if you have confirmed that the circuit board is the problem and not the mechanics inside the drive. Repair of PCB basically means swapping the dead PCB on the failed hard disk with another one from a working hard disk. The details, including the BIOS firmware in the PCBs to be swapped must be similar to the original PCB! 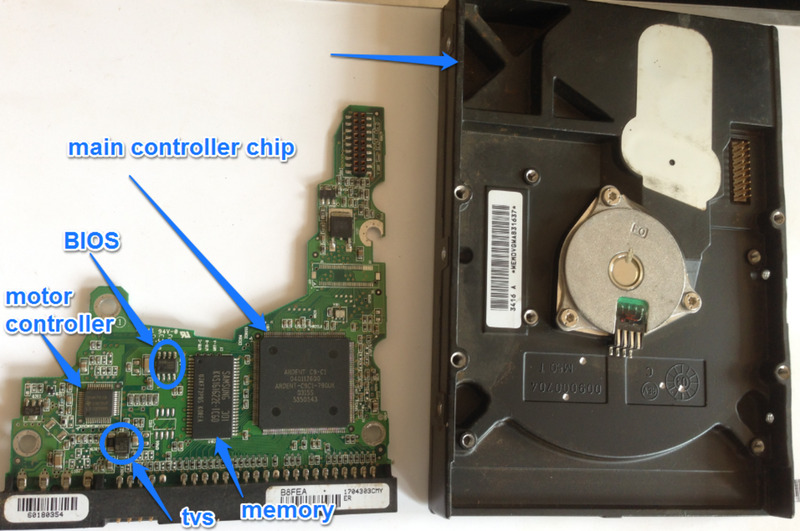 The main symptom of a dead PCB is a totally silent hard disk. It is possible that power is not being transmitted through the board because of broken points or other reasons. For broken points try to reflow them and see if the drive gets back to life. Sometimes a blown transient voltage suppression (tvs) diode is the reason for drive breakdown. If testing proves so, simply unsolder it and reconnect the drive to the computer. Remember the diode is meant to regulate voltage to the drive and without it you are operating like a pirate in the seas! 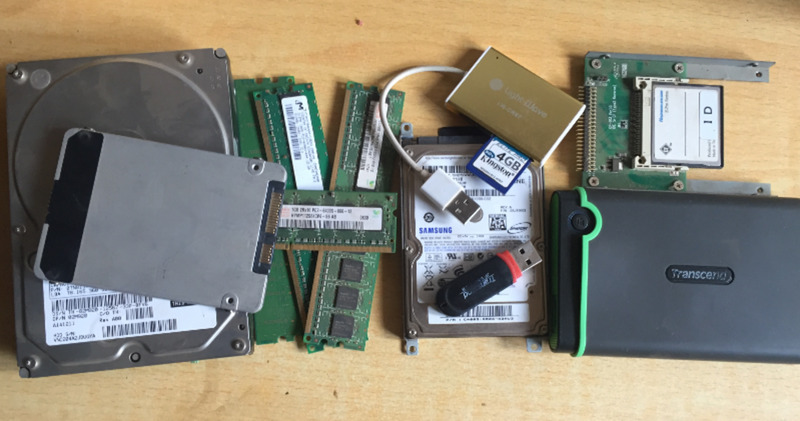 Have you ever tried fixing a dead hard disk at home? There is a catch though when swapping PCB between drives. Whereas swapping may happen without a hitch in older IDE disk drives, newer SATA models pose a challenge. These PCBs contain unique Identifiers (ID) built into ROM chips, and worse still some have the IDs built into the main controller chip. The chips from the dead board need to be transferred to the new PCB. Whereas the ROM chips can be replaced and swapped between the PCB boards without much of a hustle (if you own a hot-air gun), swapping the controller chip needs a more professional hand. Change drive platters in a super clean room. Do not touch the platter surface. Do not touch the read/write heads. As much as PCBs and platters are the usual suspects in drive failures, other components like the motor and the read/write heads may as well have failed. A data recovery specialist should always be your first choice when your disk drive is inaccessible. Call one if you have failed to transfer data from it, or recovery software tools have also failed to yield results. Don’t wait until it is too late. Beware of scattering the drive platters at home! wonderful article. i tried using the windows assessment built in for the hard drive. it was easy and worked slick.